By the late 1960s Chicago had become a battleground in struggles for social change, civil rights and against the war in Vietnam. 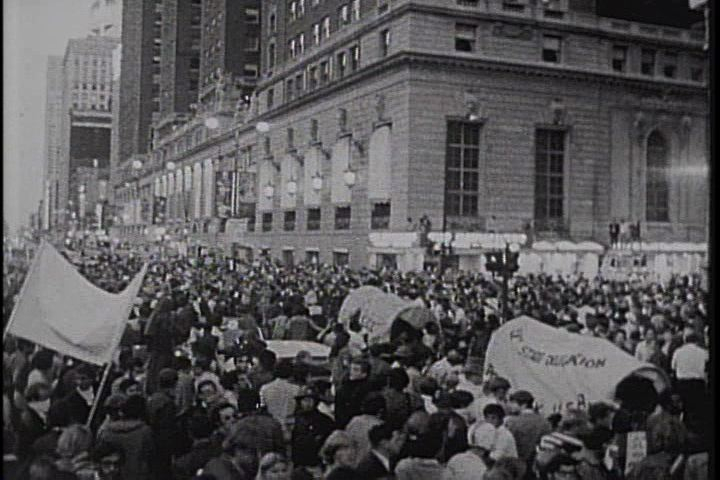 The 1968 Democratic Party convention was accompanied by anti-war demonstrations and clashes between students and police. Civil rights marches and Black Panther groups were attempting to redefine the place of Blacks in the United States. The Film Group, a Chicago-based production company set up to create industrial films and ads, found a new purpose during the Chicago Democratic Convention in late August 1968. On a lunch break from shooting a Kentucky Fried Chicken commercial, founding member Mike Gray and his crew were shocked by police violence on the very streets where they lived and worked. Radicalized, they filmed the chaos and created their feature-length documentary American Revolution 2. From their footage grew educational series, The Urban Crisis and the New Militants. Produced by the Film Group’s accountant Bill Cottle, the series consists of seven self-contained modules that “teach by raising questions rather than by attempting to answer them.” The modules tell their story through editing rather than voice-over narration and show “real events, with real people acting spontaneously,” as the Group explained to an educational film distributor. Thanks to release prints of The Urban Crisis and the New Militants donated by Bill Cottle and Mike Gray to CFA and two preservation grants awarded to CFA in 2005 and 2006 by the National Film Preservation Foundation, CFA was able to preserve the entire seven-part series. All release prints and preserved prints currently reside in our FilmGroup Collection. The preserved prints premiered at CFA screenings in 2006 and 2008. In September of 2006 at our program To Bear Witness: The Question of Violence, CFA premiered Cicero March, Black Moderates and Black Militants, and The Peoples’ Right to Know: Police vs. Reporters. 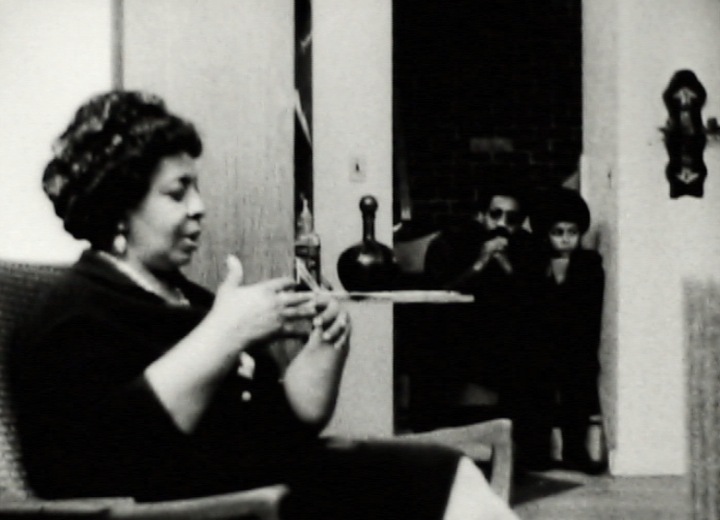 Activists appearing in these films, including Robert Lucas, leader of the 1966 Cicero March, took part in a panel discussion that expanded upon the unrest surrounding the civil rights movement and the 1968 Democratic Convention in Chicago. While the remaining four modules, The Right To Dissent: A Press Conference, Social Confrontation: The Battle Of Michigan Avenue and Law And Order Vs. Dissent, premiered at our 2008 Out of the Vault: Year of Confrontation program, alongside What Trees Do They Plant? (Henry Ushijima Productions for the City of Chicago, 1968) – a film commissioned by the City of Chicago to counter the images in the news. But the violence documented by national television and films, such as the seven modules within The Urban Crisis and the New Militants series, had been seared into the public consciousness. The truth proved hard, but not impossible to accept. Module 1. The Right to Dissent: A Press Conference, records a pre-convention press conference of the National Committee to End in the War in Vietnam. David Dellinger and Rennie Davis recount their difficulties in dealing with the City of Chicago to plan their protests against the 1968 Democratic Convention. Module 2. Social Confrontation: The Battle of Michigan Ave.shows the events of Wednesday, August 28 at the 1968 Democratic Convention including National Guardsmen detaining protesters, mass arrests near Grant Park, and Mayor Daley cursing at opponents from the convention floor. Module 3. Law and Order vs. 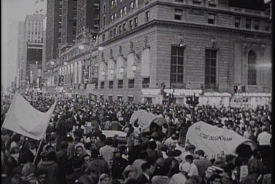 Dissent intercuts footage of the police response to the demonstrations at the 1968 Democation Convention with press conferences by Mayor Richard J. Daley and a spokesman for the Chicago Police Department in which they place the blame for the violence on the student protestors. Module 4. 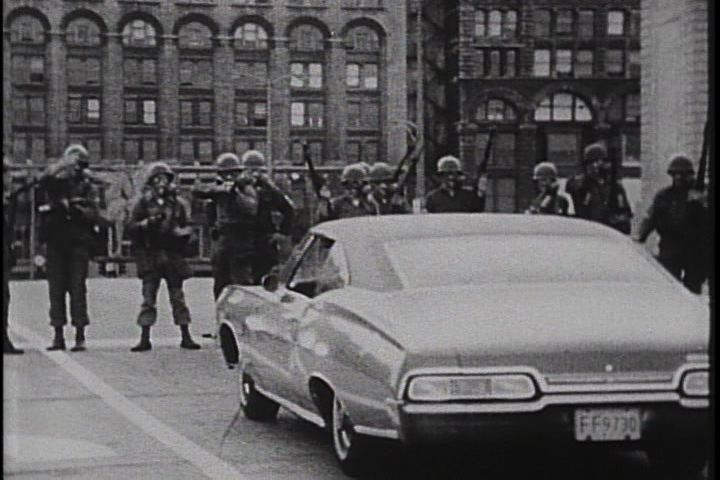 The People’s Right to Know: Police vs. Reporters interviews photojournalist Paul Sequeira on his experience covering the 1968 Convention and the police attempts to physically restrict reporters’ access. Module 6. 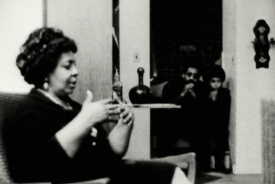 Black Moderates and Black Militants documents an unrehearsed conversation between three members of the Chicago Chapter of the Black Panther Party, including future congressman Bobby Rush, and the principal of an African American high school. The two groups respectfully debate the varied strategies for ending racism. Module 7. Cicero March details a civil rights march on September 4, 1966. 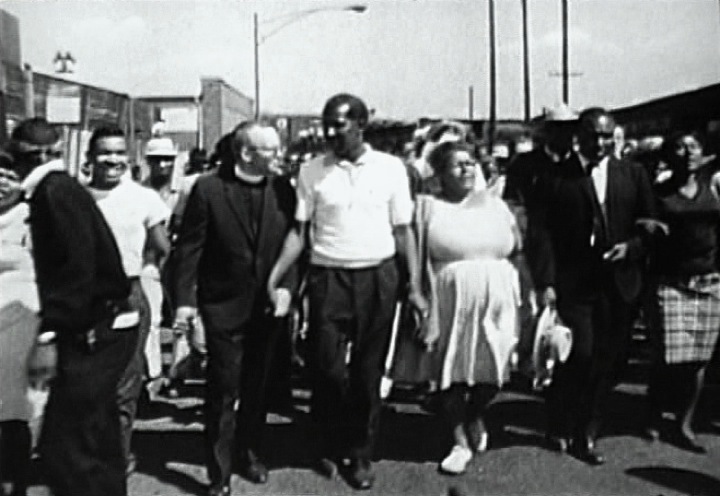 Robert Lucas led activists through Cicero to protest restrictions in housing laws. White residents of Cicero respond with vitriolic jeers as the police struggle to prevent a riot.